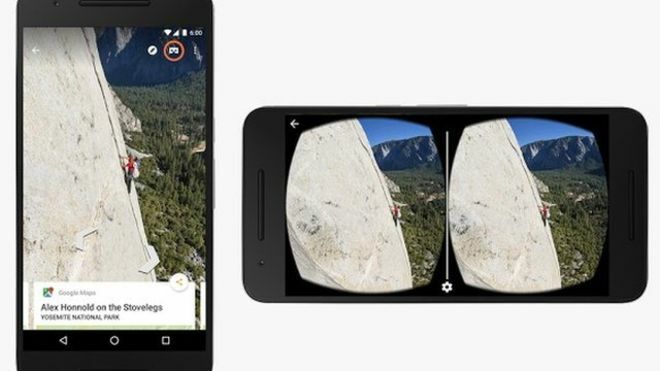 An announcement has been made by Google that its famous Street View mapping service is made available as virtual reality app, enabling individuals to discover real world scenes in 3D with the use of Cardboard headset. Google has informed that its virtual reality experience – Google Cardboard is made available in 39 languages to more than 100 countries for Android and iOS. The developers’ docs is said to be in 10 languages now, to make the experience of virtual reality more worldwide. Google Cardboard which was first released in 2014 is considered to be a virtual reality headset which can be made from scratch with the use of a Smartphone, a pair of clear lenses together with a rubber band and some Velcro and comes at a price of about £10. Earlier available only for Android phones, Google had launched a software development kit – SDK in May for iOS together with new educational programme known as Expeditions, enabling kids to go on immersive virtual journeys to the bottom of the sea or the surface of Mars with the use of the Cardboard. In February, Google has also partnered with toy maker Mattel to incorporate its virtual reality Cardboard technology in the company’s iconic View Master stereoscope, This permitted users to take virtual `field trips’ and discover popular areas, landmarks, planets, nature and much more in a 360° `photospheres’. The app – New Street virtual reality app that is made available on iOS as well as Android is anticipated to bring the world a bit closer to everyone as per Brandon Wuest, Google software engineer, enabling individuals to locate areas closer to home. Mr Wuest had mentioned in a blog post that Street View as an introduction is a part of a larger update to the Cardboard SDK, projected to overcome of the issues described by the developers. He said that the update contains major overhaul of the sensor fusion algorithms which tends to integrate the signals from the gyroscope as well as the accelerometer. These improvements considerably tend to decrease drift, particularly on phones with lower quality sensors. For the past year, virtual reality has been enjoying a recovery, after Oculus VR in 2014 bought by Facebook and Sony, Samsung and HTC had all launched their own headsets. At CCS Insight, analysts envisage that 2.5m virtual as well as augmented reality devices would be sold this year which would rise over 24m in 2018. The company had stated that though gaming is available for virtual reality devices, entertainment, video and user generated content would also be driving adoption. Ben Wood, chief of research at CCS Insight had stated the most of the consumer tend to find virtual reality a mind blowing experience, for the first time they make attempt to try it. They are of the belief that it has tremendous potential and is not just about expensive high end devices like the Oculus Rift. For only some few dollars, consumers could dip their toe in the water with an inexpensive cardboard holder for a well-matched Smartphone. They expect this democratisation of the technology to provide growth not only in affluent, mature markets but in emerging markets as well, where the Smartphone penetration seems stronger than ever. 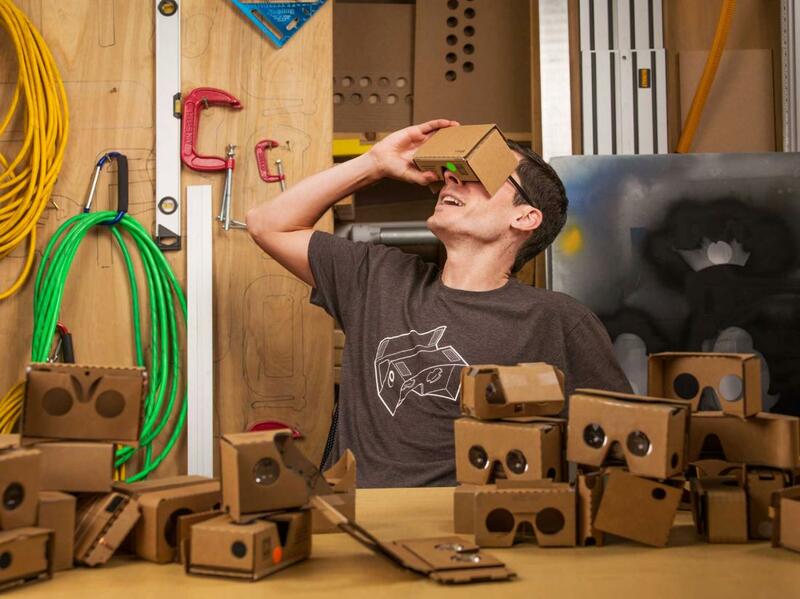 Google Cardboard is the company’s method in turning the Android smartphone into a low cost virtual reality headset, a do it yourself (DIY) virtual reality kit made of cardboard which was announced at the I/O developer conference recently. It is a gadget made from material which is worth about $30 which houses a modern Android smartphone enabling it to create a basic virtual reality headset. With similar capabilities to the $US350 Facebook owned Oculus Rift, this invention is amazing, which is like having a computer before you andis offered at a fraction of the cost of a traditional VR headset excluding the cost of an existing smartphone. The project commenced around six months back after David Coz, the project’s founder, showed it to Google Research scientist Christian Plagemann in Mountain View and it became his 20 percent project, with the company deciding to proceed with the project on a larger scale. When asked why cardboard was used, Coz had stated saying that working with it was an easy way to hack together prototype. Moreover, he also wanted the viewer to look really simple since all the processing was handled by the phone. In addition, he also noted that it would enable anybody to just take up scissors and staplers and modify it. Google has made the developer toolkit available for Cardboard and the hardware is not just simple but an open source and probably we will see some few Cardboard based apps and viewers from other manufacturers in the days to come. Google, it turned out, is using cheap corrugated paper giving virtual reality, a neat and the most accessible tool in converting nonbelievers. Though it not a Oculus Rift headset, Google’s Cardboard invention has a big role to play in virtual reality by putting it in the hand of users for $25 and a Smartphone. The virtual reality would be changing everything like film, communication, gaming, travel, education even to the extent of what we understand with regards to sensory experience. 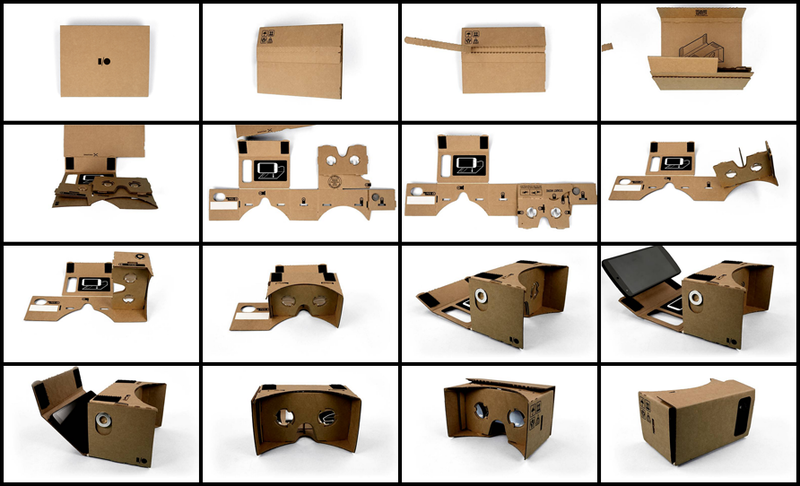 Cardboard which is meant to be an excellent low cost toolkit easy to build, to run elementary VR experience, was announced as part of Google’s annual product giveaway at 1/O recently. It is a cardboard housing created for a smartphone running Google’s Android mobile OS. Users get a $10 kit around $7 off the shelf magnets, $3 of Velcro along with a rubber band and an easily programmable Near Field Communication sticker tag for launching the companion mobile app automatically for $1.50. 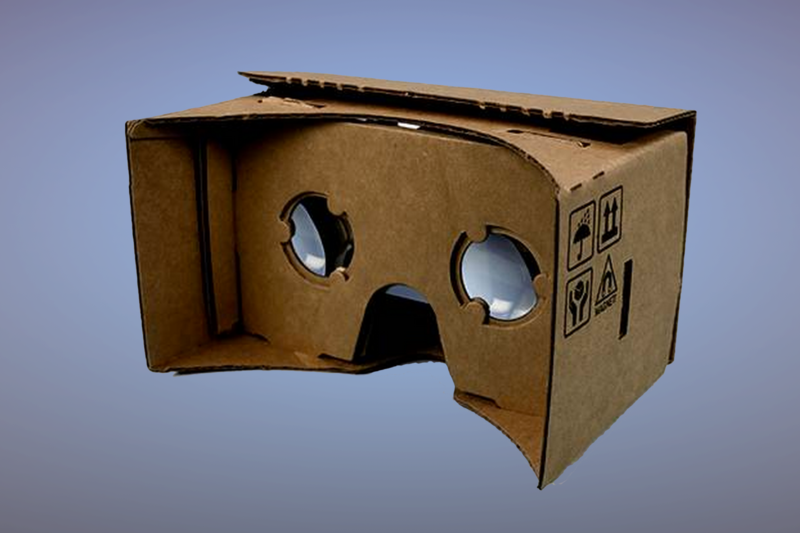 The Cardboard app which plays on the phone screen, in the cardboard casing, enables the user to navigate through landscape or city street in Google Earth as well as watch You Tube videos in a virtual theatre. Cardboard indicates that Google has being doing what it does best, providing users with the tools to obtain the experience which huge companies would not consider nor have the time for it. By creating Cardboard, Google has set the ball rolling to a device which can convince the world that VR is awesome about to take the plunge and is more than just gaming.